Car owners near Kalispell often worry about the time and cost of repairing their cars even when it's just regular service, but the service center at our dealership in Missoula has the amenities, experts, and other services that improve the auto maintenance experience, from oil changes to engine work, for all our customers. What makes getting your car serviced at Lithia Toyota of Missoula different from other auto repair shops? Figuring out when you can drop your car off, when repairs will be finished, and how you're going to get home is one of the trickier parts of auto repair, but, thanks to our online service appointment form, scheduling service has never been easier, and our Free Shuttle Service can get you back to work or home. However, many Hamilton customers take advantage of the free refreshments and Wi-Fi in our customer waiting area, which even includes a Children's Room! Whether it's a Toyota car or truck that you bought at our dealership or another brand altogether, our ASE-certified technicians, with five of them being Toyota-certified Master Technicians, are ready to quickly yet thoroughly fix all that is keeping your car from running the way it's supposed to, and they're a major reason that we're the auto service department that's the highest rated in customer satisfaction in the Missoula region! Our exceptional customer service endears us to all who bring their car in, but it's the value we deliver to Stevensville customers and beyond that have them coming back. From the service coupons, which let you save on everything from brake repair to oil changes, to the genuine parts we can order if you prefer to handle repairs yourself, there are plenty of deals for you to take advantage of, so check them out! Whether you're looking through our new Toyota offers or need work done on your car, value and quality come hand-in-hand when you shop at Lithia Toyota of Missoula, so don't hesitate to come on by! Lithia Toyota of Missoula takes pride in its quality of work. In fact, we're so confident of our service department's auto repair skills that we back them up with a 3-year/50,000-mile repair warranty. Bring your new or used vehicle in for repairs, and we'll guarantee the work, including parts and labor, for 3 years or 50,000 miles. It's as simple as that. Now that's service you can rely on! 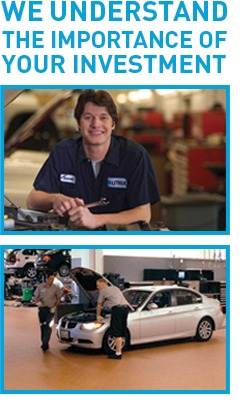 Our service department doesn't start working on your vehicle without a detailed quote outlining cost of repairs. Lithia's up-front pricing ensures there won't be any nasty surprises when it comes time to pay for your car repair, truck repair or vehicle maintenance. Lithia Toyota of Missoula offers regular maintenance plans like the Lifetime Oil Change, as well as assured service contracts for extended coverage beyond your vehicle's standard factory warranty. The assured service contract coverages range from powertrain to more comprehensive packages up to and including 24-hour roadside assistance. So now you can roam free throughout Big Sky Country and beyond knowing your vehicle is covered by Lithia 24/7. The Lithia Toyota of Missoula service department aims to make your vehicle maintenance and auto repair visits as fast and convenient as possible. Customers in Missoula and neighboring communities like Lolo, Stevensville and Hamilton can schedule service by calling us at 888-498-3542, or feel free to request an appointment online. Express maintenance and quick-lube services are also available with no appointment necessary, should you ever need to top off fluids or stop by for a quick oil change. Experienced auto technicians, up-front pricing and quality vehicle repair work guaranteed… our Toyota Service Center has it all. At Lithia we understand that any dealership can sell you a car, but a top-notch service department is what will make you a loyal customer. Lithia Toyota of Missoula is ready to earn your loyalty. Please give us a call the next time you're looking for quality auto repair in Missoula.